1) Post #25265 by FBlome in Thread: "Worksets and DropBox - how to do it without getting yourself in deep trouble"
2) Post #27089 by Gordon Price in Thread: "Working views and annotation views - Display of view callouts"
3) Post #26725 by Mark B. in Thread: "Sloping parapet?" 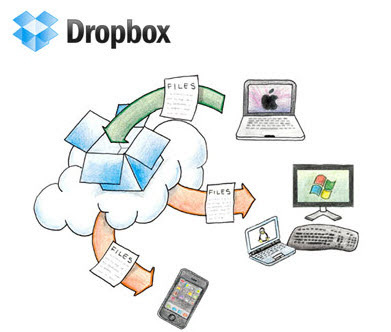 In his debut contribution to RFO, Fred Blome, AIA, shares with us his experiences at using DropBox as a means of storing a central file for doing remote collaboration between two people who were in different cities, separated by a 3-hour time zone difference. After trying other alternatives, Fred decided to take the risk of using Dropbox, in spite of having read warnings about "don't use this for serious work". Following some rules for coordinating what to edit and when, which he describes in this post, Fred and his teammate managed to get the work done. Fred recognizes that there are high risks of corrupting the central file, if the rules are not followed carefully. One big risk is that the two parties edit the same element. That would be a guaranteed corruption of the central file. The biggest issue of working with Dropbox for this purpose, is that Dropbox does not have a file lock mechanism to prevent simultaneous saves (as Revit Server does). In this post, Gordon Price posted a Revit file to illustrate his solution to a problem posted by Ross Kirby, in regards to how to hide elevation markers that refer to working views which are overlapping elevation markers that refer to annotation views. Ross had tried to use a filter (not specified) that was hiding only the active part of the callout (view name), but not the reference part (the sheet name). Gordon provides a solution by using a second type of elevation marker, named as "Working elevations" for the working views, to be placed near (not overlapping) the default elevation markers for annotation views. Then, he uses a filter for Elevations, by Family and Type, where the name of the family is "Working elevations". That requires to have two types of elevation markers, with different shapes, for clarity: one for annotation views (round), and another one for working views (square). (See illustration). This post, by Mark Balsom (Mark B.) illustrates his solution to this question posted by John McCamont: "Is there a way to make a parapet slope with the roof other than cutting the wall profile?, followed later by "Is there a way to make the slope "smart" to match the roof slope (in case the slope changes)?" After trying first with reference planes, Mark discovers later that by simply modifying the wall with Edit profile, relating the pitch of the wall with the pitch of the roof with a locked dimension (probably using "pick lines" with offset first), now the profile of the wall is associated in a smart way to the slope of the roof. This post is a rather extensive layout of all the Do’s and Don’ts when it comes to using Worksharing in combination with Dropbox for Revit project collaboration. The author wrote down and analyzed his experiences with this workflow in a real-life project which makes this a valuable summary for all of those thinking about going down this road. It is common practice to use both working views (to well, work in) and plot/annotate views (for placement on sheets). But this raises a problem: how do you get rid of those extra View Tags? In this thread the original post raised the question whether it is possible to somehow filter the Elevation View Tags. Gordon came up with the winner: create a separate Tag which can by filtered by Type. Nr 3: Mark b in Thread: Sloping parapet? The OP raised the question whether it is possible to make a parapet follow the slope of the corresponding roof. Mark b provided a simple yet very effective way of doing so. This seems to be the first ever RMEP nominated post… The OP raised the question whether it was possible to add U-values (number that defines the amount of heat travelling through a certain material) to custom materials / building constructions. In this post Openrevit provides the solution and explains how one can change the constructions.xml file to do so. The OP started with a rant about the automatic upgrade from files when opened in a new version. It was very soon established that this upgrade wouldn’t take effect unless you actually save the project. In addition Scott D Davis replied with a detailed how-to on how to respond when the file is saved by accident, both for workshared and non-workshared files. This thread and corresponding blog posts were triggered by another posting on how to override wall hatches by the Phase they were created in. In the blogs a step by step workflow is provided to achieve this. The thread was started with the request if someone could share a Stone Section Detail Component. It quickly evolved into a discussion about the possibilities to nest a Detail Component into a Wall. Munkholm provided a workaround using a Profile / Wall Sweep to accomplish this. The OP started with a what-if: What if you need to a Multi-level Wall Section that’s too big to put on one sheet? A quick suggestion was to break the Callout in parts but this leaves you with a bunch of loose Callout Annotations. Alfredo provided a simple yet very effective way of accomplishing the desired effect while keeping up the appearance of a single Callout in your section view. The OP started this discussion with the question on how upgrading templates and libraries is handled by other forum members. Especially regarding the paths to different locations of recourses preloaded in the template. As often, the solution is as brilliant as it is simple, and provided by Munkholm here. The OP needed a way to automatically tie info from a Wall to the corresponding Room. More precise: he needed to be able to define which Rooms were bounded by a certain type of Wall. General consensus: there is no automatic way to do this (yet) without using the API. Mdradvies provided a partial solution in terms of a letting a room know that it is in fact next to such a wall by using a Door/Window family.